"Oh, the thinks you can think!" Dr. Seuss' best-loved characters collided and cavorted in an unforgettable musical caper when the Broadway Bound Vista Theatre Project (BBVTP) presented Seussical August 3-6 in Cardinal Newman School’s Anna Tronco Williams Performing Arts Center, 2945 Alpine Road. This family musical lovingly brought to life Horton the Elephant, The Cat in the Hat, Gertrude McFuzz, lazy Mayzie and a little boy with a big imagination – Jojo. These colorful characters transported audiences from the Jungle of Nool to the Circus McGurkus to the invisible world of the Whos. Lanny Spires (Trustus Theatre's Rent, Hair) played Horton, an elephant who discovers a speck of dust that contains the Whos, including JoJo (Mary Grace Copeland of Village Square Theatre's Shrek - The Musical), a Who child sent off to military school for thinking too many "thinks." Horton faces a double challenge: not only must he protect the Whos from a world of naysayers and dangers, but he must guard an abandoned egg, left in his care by the irresponsible Mayzie La Bird, portrayed by Hannah Mount (Madison Theatre's [N.Y.] Alice in Wonderland). Although Horton faces all manner of challenges, the intrepid Gertrude McFuzz (Heather Hinson of Town Theatre's The Addams Family) never loses faith in him. Ultimately, the powers of friendship, loyalty, family and community are challenged and emerge triumphant, with the show's message that "a person's a person, no matter how small" proclaimed by the 40-plus cast members of all ages, including Jerryana Williams-Bibiloni (Town's The Addams Family) as the Cat in the Hat, Ed Davis (BBVTP’s Snoopy!!!) 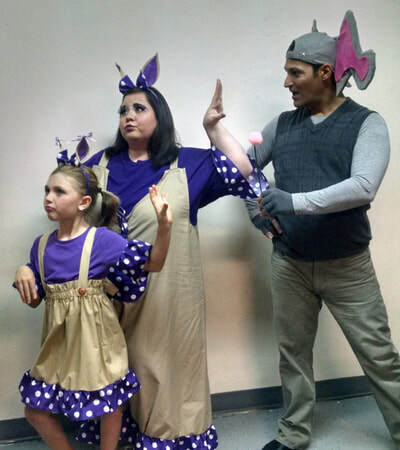 as the Mayor of Whoville, Cindy Read Durrett (BBVTP’s Oliver!) as Mrs. Mayor, Leighton Mount-Rossi (BBVTP’s It’s Christmas Time!) as the Sour Kangaroo and David Quay (It’s Christmas Time!) as General Genghis Khan Schmitz. 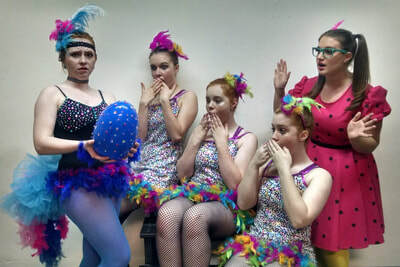 Seussical was directed and choreographed by Dedra Daniels Mount, with musical direction by Michael Simmons. A silent auction of Dr. Seuss items was held throughout the run of the show as a fundraiser for the Broadway Bound Vista Theatre Project, a non-profit community-based musical and dramatic performing arts organization created to present quality family entertainment and to provide opportunities for children and adults to develop talents in all aspects of theatre arts. 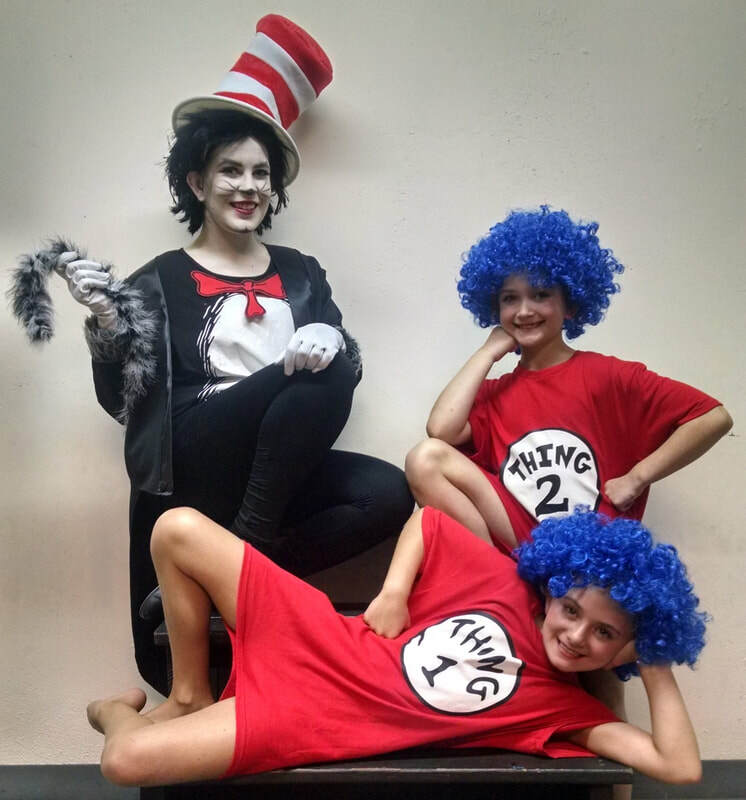 Seussical was sponsored by Ken & Cheryl Wheat, Dale & Heather Wolan, and Davis Orthodontics. Performances were 8 p.m. August 3-4 and 3 p.m. August 5-6. Tickets were $15.